Aside from being sensitive when you drink or eat something hot or cold, general sensitivity can be a sign of cavities. Some people have naturally sensitive teeth, but if you don’t, then a new form of sensitivity can be a reason to see a dentist. If it’s not a cavity, it could still be worn enamel or another problem. Sometimes, it’s not pain or discomfort that has you wondering whether you have a filling, but a general sensation or something you see. If you notice a dark spot in your mouth, you may find it’s a cavity. You may even run your tongue over your teeth and notice something out of the ordinary. In either case, it’s a good idea to call your dentist and make an appointment sooner rather than later. If you haven’t been paying much attention to your oral care, and you can’t remember the last time you went to a dentist, then it’s a recipe for disaster. Not only are you not looking after your teeth, but you’re not letting a dentist either. There’s a high chance that you have cavities – or are in the running to get some. 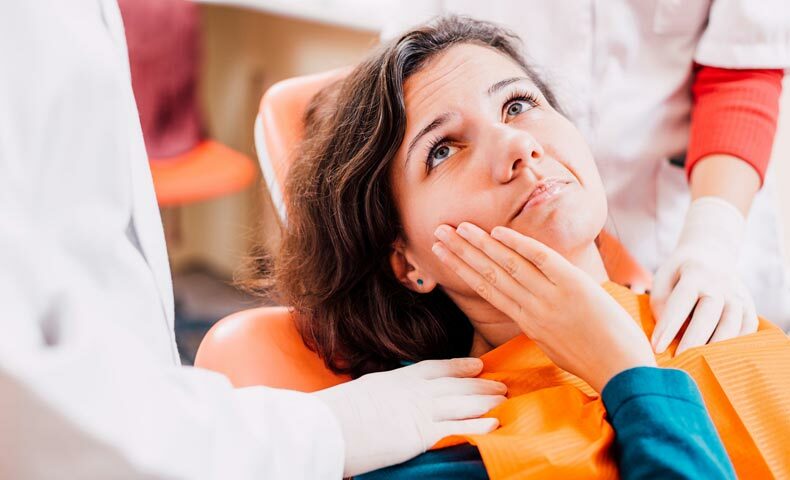 There are several tell-tale signs that you might need a filling, but only one person knows for sure. Make an appointment with your dentist for a full oral exam and x-rays. They can then put together a plan of attack to see your teeth looking and feeling at their best once more.